There’s no age limit for improvement. 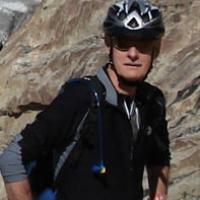 I accept a certain level of humility by riding a mountain bike in my 50s. 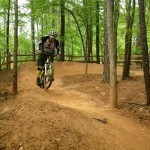 I’m probably not going to keep up with young guns, and I fear crashing and injuries more than I did in my younger days. Even if you’re not in your 50s, those things may apply to you as well. Depressing? Not really, just reality. But here’s the flip side: You can still improve and take on new challenges, learn new skills, or hone those you already have. There’s no age limit for improving, and it’s a good way to keep your riding fresh as you start a new riding season. Remember in our teens and twenties, we usually learned by trial and error. When we crashed, we dusted ourselves off and tried again until we got it right, and we have the scars to prove it. But when we get older, those crashes can result in trips to the emergency room and months of physical therapy. While I’d like to think I’ve gotten smarter with age, truth is, I’m just not as resilient as I used to be. Now I take a lighter approach to becoming a better mountain biker, but I still strive to improve. 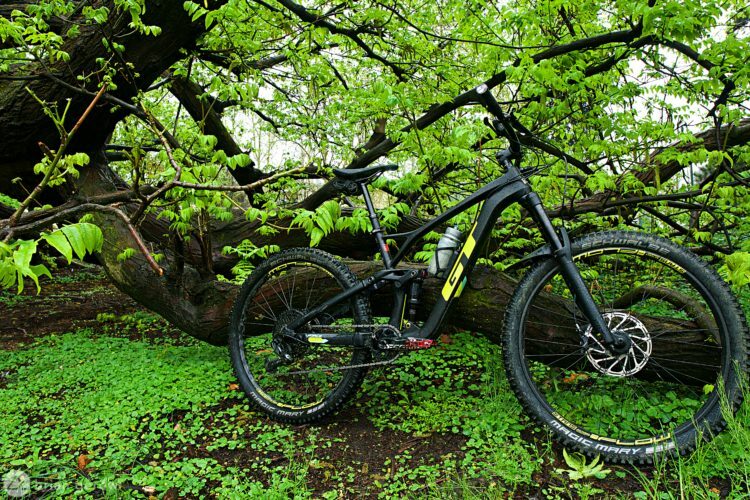 It might be riding farther, cleaning technical terrain, cornering faster and smoother, or being less intimidated by jumps. Improving requires pushing myself out of my comfort zone, and like most things, the results are mixed. At times, I get frustrated and ask, “Why bother? Just ride.” But usually it’s the opposite, because I get the satisfaction of seeing results. 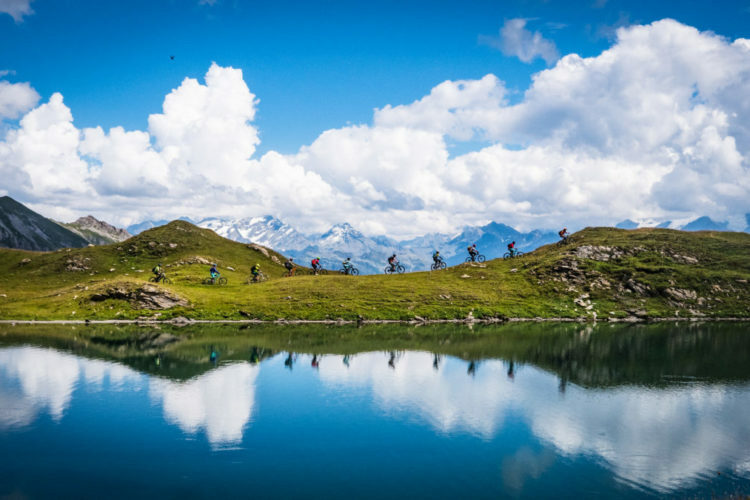 If you want to avoid turning yourself into a middle-aged crash-test dummy, here are some (hopefully) low-impact ways to become a better mountain biker. Every year I dig out my well-worn copy of Mastering Mountain Bike Skills by Brian Lopes and Lee McCormack. 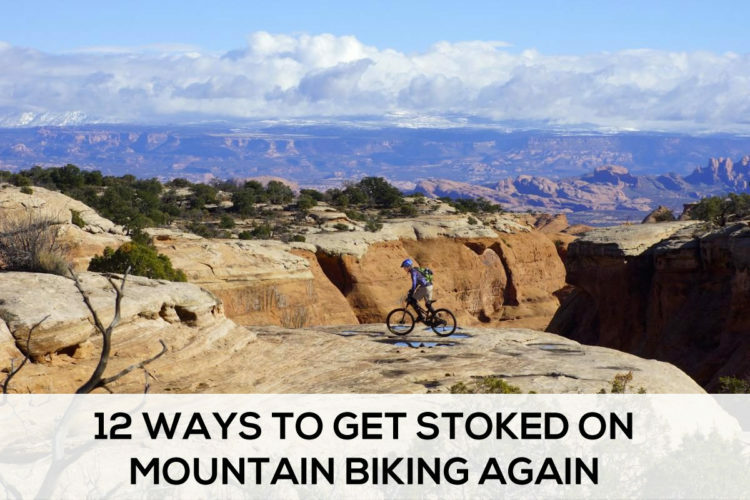 It was recommended to me by a riding pal, and honestly, I was a little offended by the suggestion because I thought it was an entry-level “Mountain Biking for Dummies” type book. But I thumbed through it at a bookstore and realized it was more like a master’s class in advanced skills, and it was money well spent. Don’t just watch what the experts do, watch how they do it and learn. Whether in person or in videos, experts and pros can teach you a lot if you focus not only on what they’re doing, but how they’re doing it. 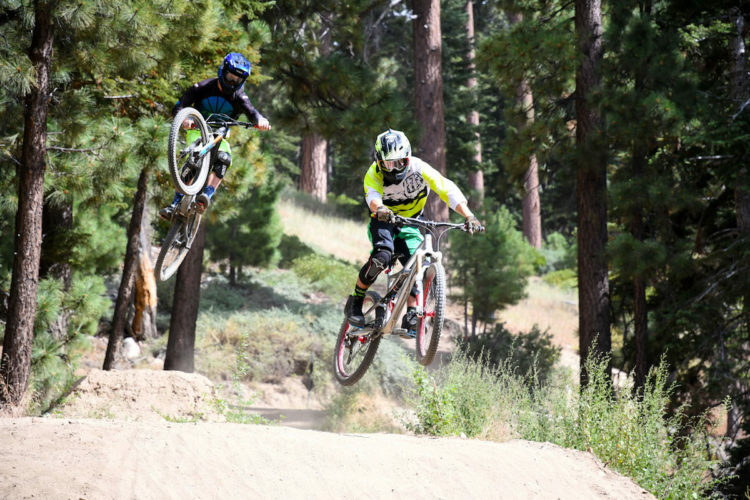 Watch their body position, technique, and lines down a trail. 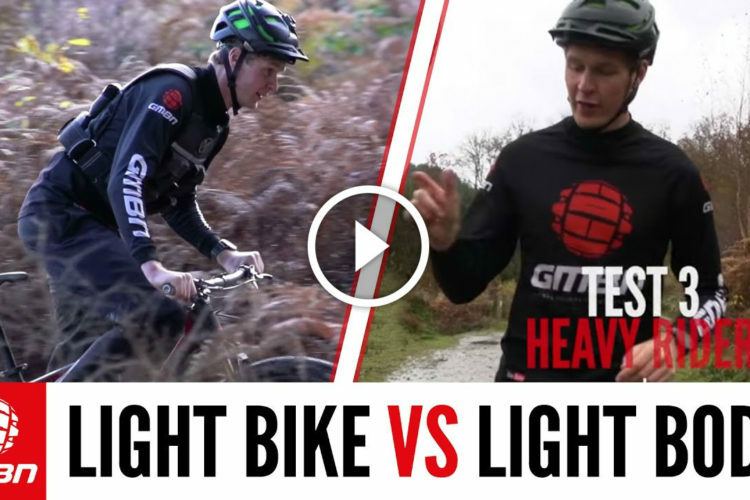 You can also find instructional videos right here on Singletracks.com, on Youtube, and those cheeky British blokes at GMBN.com have a whole online library of how-to videos. You can also find feature-length videos on Netflix, Amazon Prime, or Red Bull TV. They typically use lots of slow-motion footage, and it’s an opportunity closely observe how experts ride. Sounds lame riding around cones in a parking lot, but if it helps, it helps. 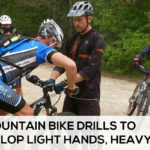 There are lots of simple drills you can do in a parking lot, or better yet, a grassy field or vacant lot to practice everything from cornering to bunny hopping to wheelies. Drilling allows you to focus solely on one aspect of your riding. You get the benefit of repetition and building muscle memory so when you’re out on the trail, it’s instinctual. This is one of my favorite things to do when a certain trail starts feeling a little stale. I pick a section and ride the whole thing out of the saddle. 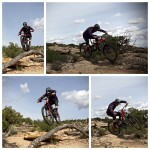 I try to bunny hop every rock, root, or water bar. I force myself to use perfect form in every corner, even if it means going half speed. If I really want to push myself, I do intervals, such as 40 seconds at normal pace and 20 seconds full sprint. That turns even the mellowest trail into a lung burner. I find doing those things not only helps me improve, it makes old, familiar trails more fun and challenging. 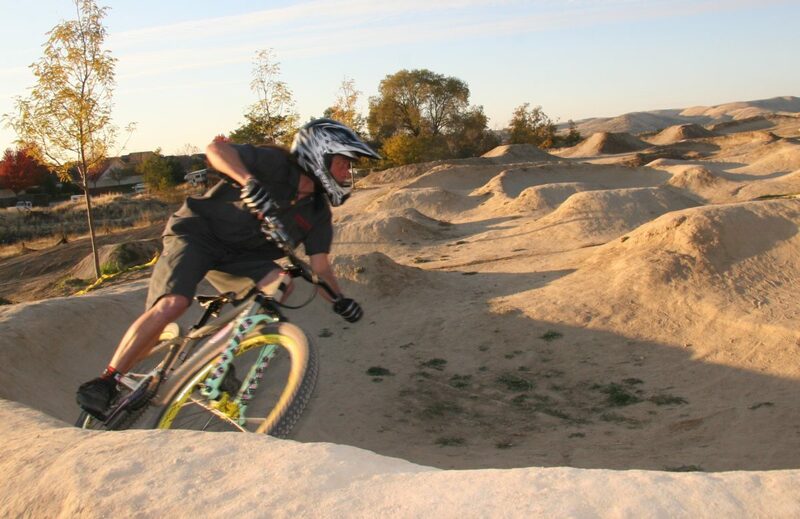 It wasn’t long ago that a pumptrack was as rare as a redneck in San Francisco, but pumptracks are popping up in a lot of places. They’re a good place to work on your form and understand how smooth cornering and pumping can give you extra momentum on the trail. I realize it’s not an option for everyone, but if it is, you can learn more in a weekend from a good instructor than you could in months trying to figure things out on your own. 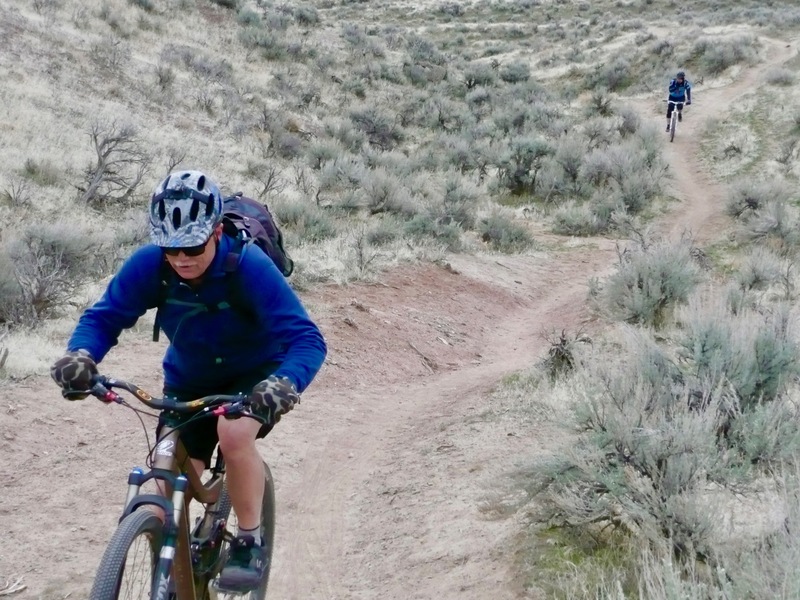 It might be a more challenging trail, a longer ride, or shaving time off your favorite Strava segment, but set a goal and do your best to meet it. Even a few incremental improvements will make you a better all-around rider, and give you the satisfaction of meeting your goals. 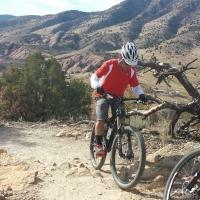 Your Turn: What tips do you have for improving your mountain bike skills at any age? Share them in the comments section below! Most of my riding partners are 60+, with me being the oldest , getting too close to 66. We strive constantly to get better. 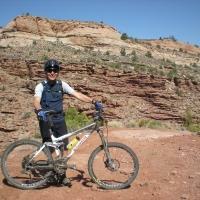 I started mt biking (came from a racing road background) when the sport was still in the no suspension era. The only thing that slows me down is that I have many body parts that have been fixed or do not work well. Healing has also slowed down. See ya in Moab this May. I enjoyed the article, I’m 55. My girlfriend (50) just purchased a mountain bike and crashed on her second ride. It has not slowed her down. This is a great resource of books and videos that we can study. We live in Minnesota and we are open to any skills clinic in the Twin Cities metro area. Drop a note if you know of any! 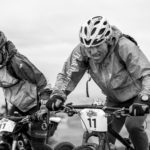 Tom, check out https://www.northstarmtb.org for clinics in the Twin Cities. Tara and Byron are awesome and will definitely improve the skills of both you and your girlfriend. Tell them adventure.chick sent you! As an older rider the simplest way to “get better” is to park the ego and ride trails within my physical & technical capabilities. Only then is it fun and injury free……………..which it is supposed to be. There is ALWAYS someone better & faster and someone worse and slower. I started riding again after a few years also, about 2 years ago. I’m now 68 and loving every minute of it. My biggest problem is I could use a new bike, and the prices certainly have changed in 20 years. Oh well I’m still having fun and staying in shape on the old bike. Just ride as much as you can and your skills will improve. But most of all, have fun. That is a great article. Great advice. The only thing I haven’t done is the pump tracks, need to work on that. I’m 65 soon to be 66. Been riding for 15 yrs & still having a blast. I think that what keeps me going strong. Slowed a little on the climbs & probably do a few more hike\bikes then before. But that’s fine, some times it is better to do a hike\bike saves you a little bit. With these new bikes I find myself taking the down hills faster then before. What is fun is when I do pass a younger rider climbing & the looks I get. But gives them a little push to climb faster & realize there is life after 50. Also when I come across a rider around my age helps them pick it up. I was in a race a few weeks ago & there where 14 riders in the 60+ class that is very cool, shows there is still a lot of 60+ riders out enjoying life. I hope too be riding well up into my 70s, or beyond. I have been past by 72+ riders & that is very inspiring knowing if you keep riding you can stay in that good of shape. 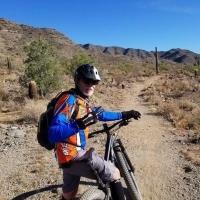 I am 62, started MTBing last year at age 61 on the 50 year trail system north of Tucson. I bought a Trek 29er hardtail thinking we would just do easy rides but the trails are fantastic and I am really pushing it on some very challenging trails. A good bit of hiking on the steep bouldered trail uphills but downhill is a blast. I just avoid any obvious bone crushing situations, every sport these days has been pushed to such extremes in videos that it is just insane to contemplate matching those stunts at any age or level of fitness if you want to reach 62 intact and healthy. I’ve had my share of crashes but my regular weightlifting regime keeps me so tight that it has not been a problem other than abrasions and contusions. MTBing is my new lower body routine. I took your advice and ordered the book, thanks! 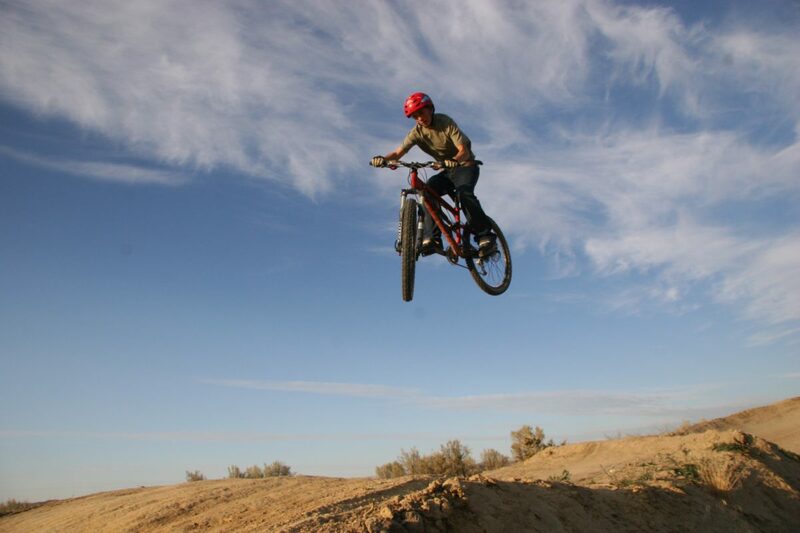 I like very much this and other related articles, it gives some very good ideas in how to tweak on the riding skills. But on the other hand, a slightly wider handlebar can make a wast difference in keeping the baby on the trail. 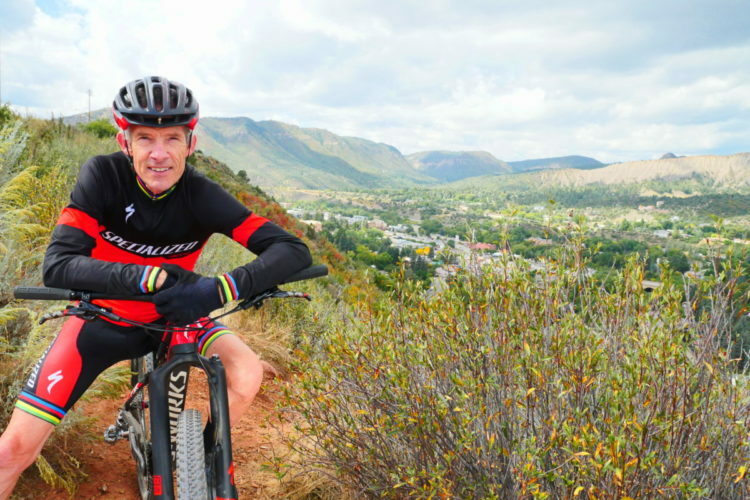 I am now 66+ and have been riding MTB’s for the last twenty years. 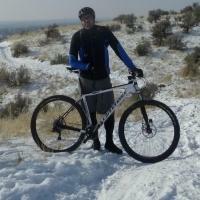 Have started off with an hardtail and purchased 1 1/2 years ago an Enduro E-Mountainbike for my retirement. Even now a 80+km & 1000+m uphill are been done in a shorter time, than without power. 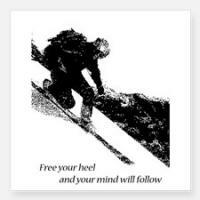 But as you are faster on the trails, it keeps your skills polished. I’m ridng mostly with individual power settings, which are about half of the original copmany settings from BOSCH. So I can do something for my fittness and get the bonus of an improved range of up to 135km!!! Great article. Lots of good ideas and suggestions for those of us on Medicare!